"Great product. Have recommended to friends. Wish I had known about it sooner. Just ordered the serum. Hope it works as well as the natural cream." "I'm not sure why this product is not more widely known. I've experimented with a menu of skin products over the coarse of 40+ years and have never found a skin product to be more effective. I've suffered with cracked cuticles all my life till now. I'm cured! Amazing product and coarse will continue to buy forever." "It is a great feeling knowing that the dead skin cells on my face are being removed. My skin feels a lot softer and smoother now. I have used various face washes in the past, but the N’Vive Exfoliator is certainly the best." "I love the N’Vive Lipcolor! It’s very long lasting and you don’t need to apply a lot in order to have smooth, moist, and beautiful lips." "I have been using the N’Vive Lipcolor on my lips and have even recommended it to my daughter. We both love it! Our lips are getting better and it’s a lot smoother than before!" 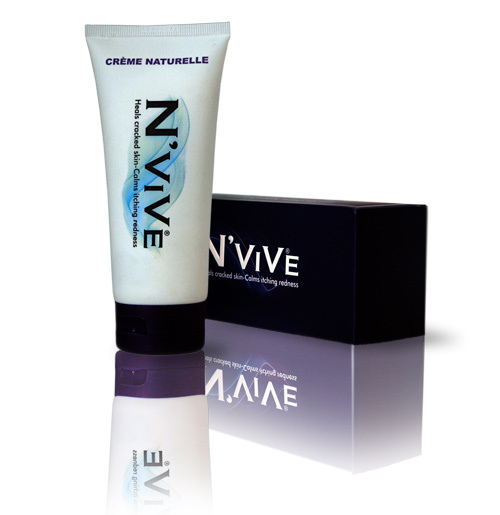 "My face feels very smooth and clean after just the first use of N’Vive’s Face Wash. It is an excellent product!" "The Face Wash Exfoliator is a great product. It gives you a great moisturizing feeling when washing your face. It feels wonderful!" 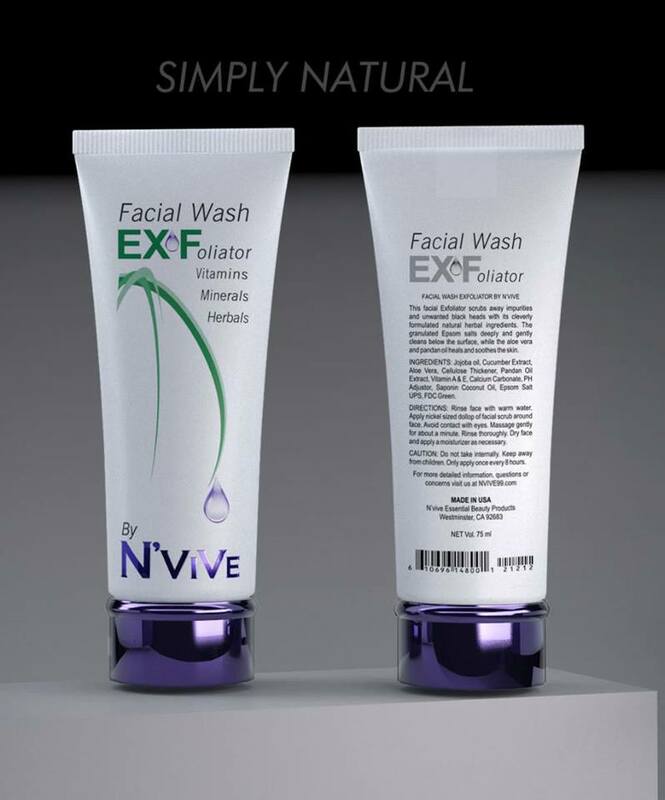 "N’Vive Face Wash is an excellent product! My skin is softer and fresher than ever before. I can feel my skin being rejuvenated every time I wash my face." "The N’Vive Face wash leaves your skin feeling soft, refreshed, and clean. If you use it with the N’Vive Serum, it works magic! I have been struggling with acne all my life and this face wash is the answer I’ve been looking for! I love the feeling during and after you clean your face with it." "I have used N’Vive’s Natural Cream and Serum and loved the results. When the Lipcolor came out, I was so happy and wanted to give it a try. The Lipcolor really provides moisture and a fair amount of color that is long lasting unlike other products I have used." "I love that my face is soft and smooth all thanks to the N’Vive Exfoliator." "N’Vive Lipcolor is the best! My lips are always dry and it sometimes bleeds. But ever since I started to use N’Vive Lipcolor, my lips are soft and beautiful. It’s one of the best products I have ever used. My lips have never been this soft and beautiful before." "I have been very satisfied with the results from the serum and foot cream, so I wasn’t hesitant to try the N’Vive Lipcolor. It keeps my lips smooth even after the color has faded. There are a wide variety of colors available, which is what I like. I am able to change colors to match the season and my outfit." "The exfoliator is an excellent product for all skin types! I have oily skin and used other cleansers in the past, but never get the results I wanted. The N’Vive Exfoliator has limited excessive breakouts and has made me feel better and more confident. The natural ingredients are certainly a plus!" "This lip gloss works great! The color lasts longer than any other lip gloss I’ve ever tried. It maes my lips look beautiful and smooth all day long." "I love using N’Vive Lipcolor! My lips stay smooth even after the lipcolor is gone! My lips remain smooth and it has really helped my cracked lips. I love that my lips stay moist and my lips are no longer cracking and dry. It feels wonderful!" "The N’Vive Exfoliator Face Wash has gone beyond my expectations and I am completely satisfied. It has done everything it has advertised to provide. I will refer my friends and family to use this product." "My skin is more smooth and fresh after using the N’Vive face wash! It looks great without that oily feeling. It has helped to minimize my blemishes." "I love the N’Vive face wash! The pleasant smell always lingers after each use. I could feel my face getting softer and smoother. There is a sense of freshness every time I wash my face with the face wash."
"After using the N’Vive Face Wash, I can feel my face feeling much softer and smoother than before. Thank you for the facial wash! I love it!" Copyright 2019 N'VIVE ESSENTIAL. All rights reserved.